exhilarate, and electrify, to a man." - the blurb at the back, A Luxury We Cannot Afford, Math Paper Press. "Christine Chia and Joshua Ip have done a wonderful job in collecting a rich variety of poems by both established figures and newly emergent voices: as the editors point out, the youngest contributor is 15 and the oldest 95. " 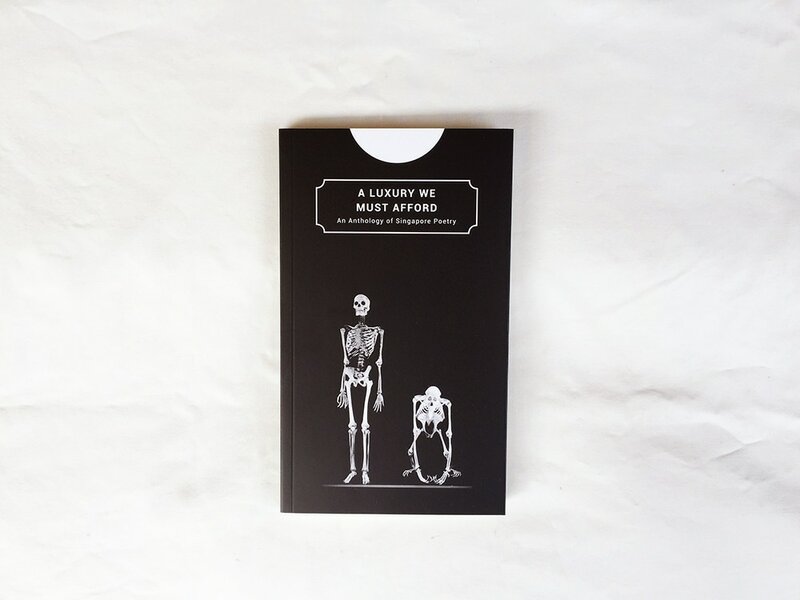 "Under the editorship of poets Christine Chia and Joshua Ip, 56 of Singapore’s finest poets contribute their take on who the anthology will only call the Man. Anyone with the least acquaintance with Singaporean politics will know who the Man is; it is an indication of his power–and the style of his politics, his critics may charge–that he remains unnamed but it is also an indication that the Man is no ordinary man, but a potent Symbol. " ​It is a portrait, a biography, an anti-hagiography and it should be required reading." A Luxury We Cannot Afford is an important celebration of The Man through the powerful feelings he arouses. Credit must be given to Chia and Ip for their inventiveness, audacity, and farsightedness in drawing such a volume out of the shadow of a missing precedent in English. I must also thank them for believing me to be without favours to gain or grievance to air and thus objective enough to write a creative foreword few would have the folly to attempt. Yet, this anthology is as much a social document as it is artistic pleasure, and my curiosity as both a poet and a critic has been piqued. I am convinced that lovers of writing will be relieved to find poetry’s moral responsibility to this pillar of Singaporean identity finally met. We have now poetic voices reflecting at the crucial tail end of an era, just before they can rethink how they feel against what happens next. This is poetry at the edge of a personality storm, and it electrifies." - Gwee Li Sui, Foreword, A Luxury We Cannot Afford. For us Singaporeans, 2015 has been a year for burying hatchet-wielding legends, letting old dogmas lie, and ultimately looking forward into a great wide absence, which is also a great wide space. Singapore at 50 stands on the cusp of a mid-life crisis with a multitasker’s schizophrenia – even as she mourns the loss of an almost all-defining founding father, she celebrates a significant birthday; even as she seeks to refine or redefine her interpretation of history, she awaits an election that could be a milestone or, well, just another election. If A Luxury We Cannot Afford was effectively the story of Singapore before SG50, we feel that the tale is, as told, incomplete. As such, we decided to compile a companion volume, entitled A Luxury We Must Afford, which will tell the tale of Singapore from SG50 onwards. 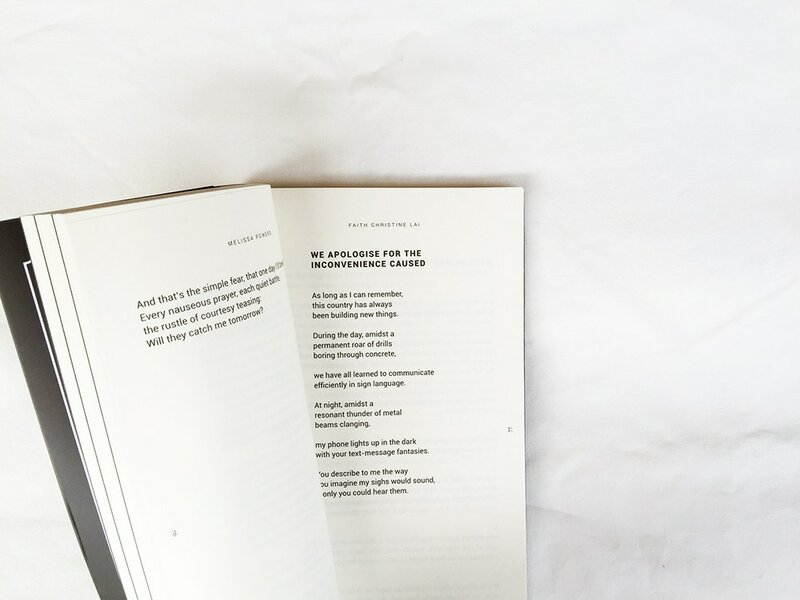 This year, we believe we can finally assert that a Singaporean poetry, here and now, is a luxury we must afford. Looking forward and beyond, the editors have added Cheryl Julia Lee to their number, and gathered new hopes, daydreams, nightmares and considered perspectives about the future of our island nation. We would like to consign the topic of the previous anthology to the past, and instead look forward. ​The anthology was launched on 15 January 2017 at the Chamber of The Arts House, and is available from BooksActually and all major bookstores.